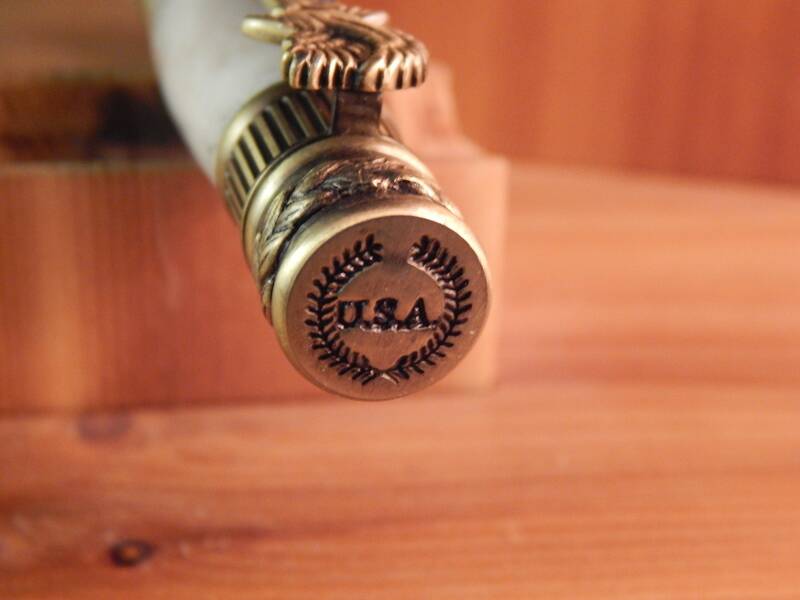 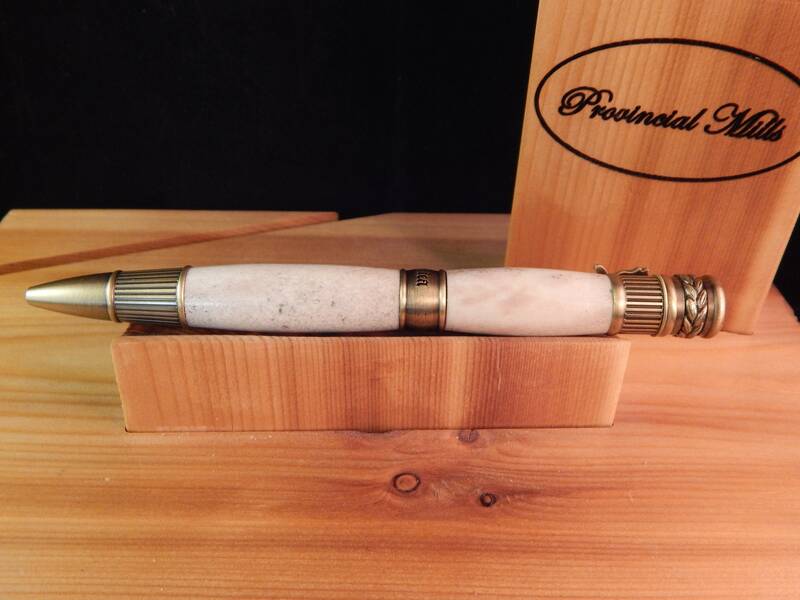 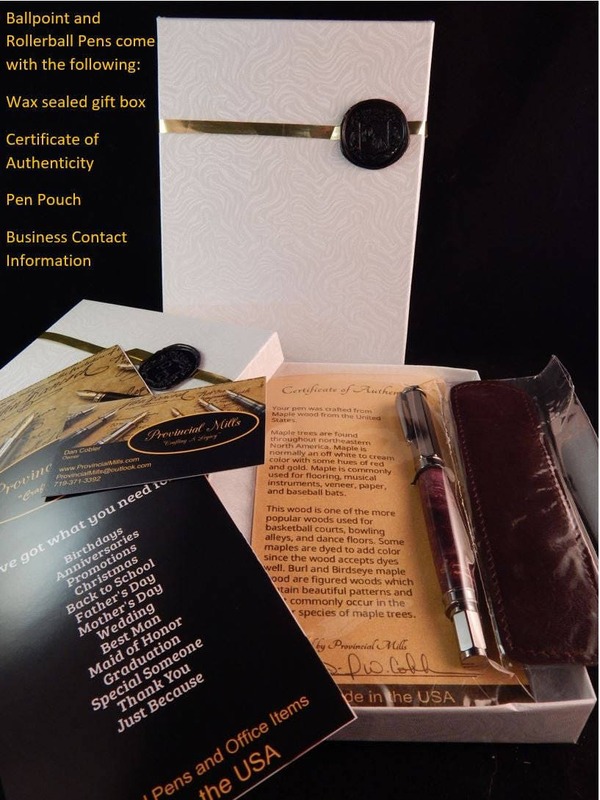 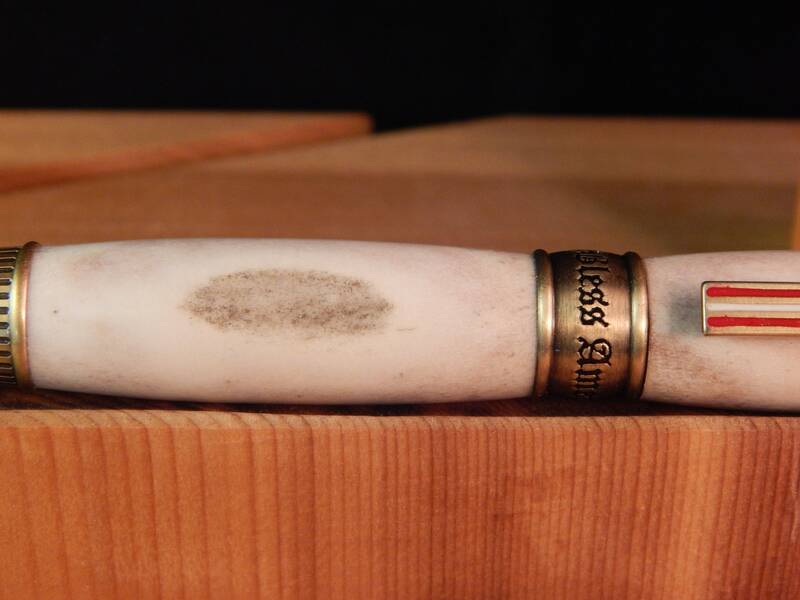 This patriot pen was handcrafted out of deer antler and matched with antique brass fittings. 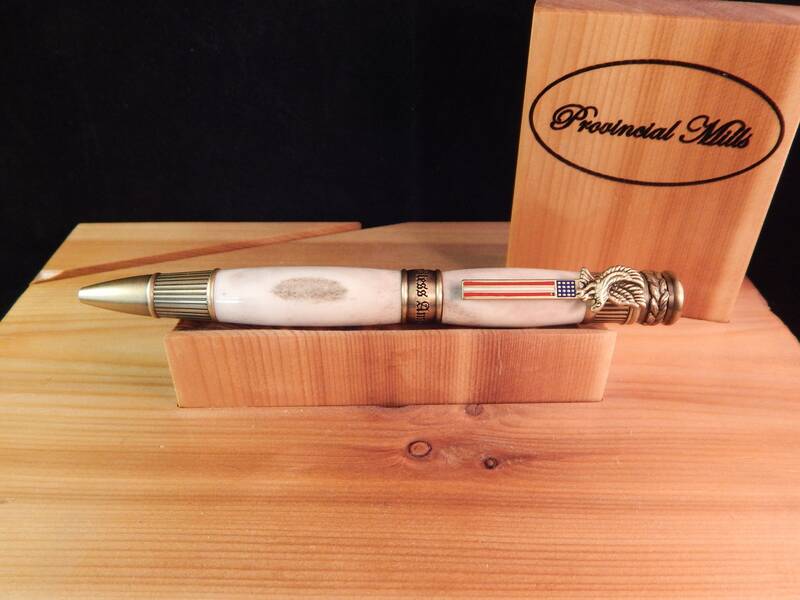 The center band on this pen reads God Bless America and the top of the pen is stamped with USA. 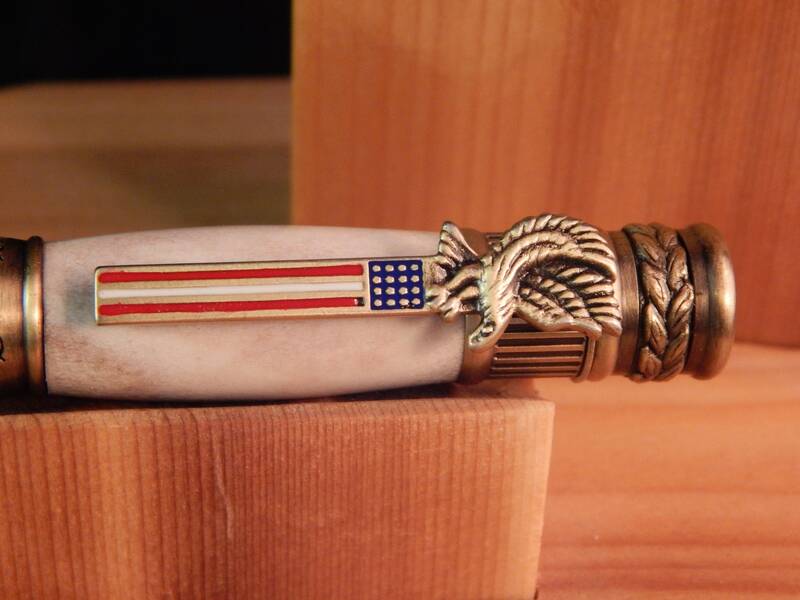 The pen clip features an American flag along with the bald eagle. 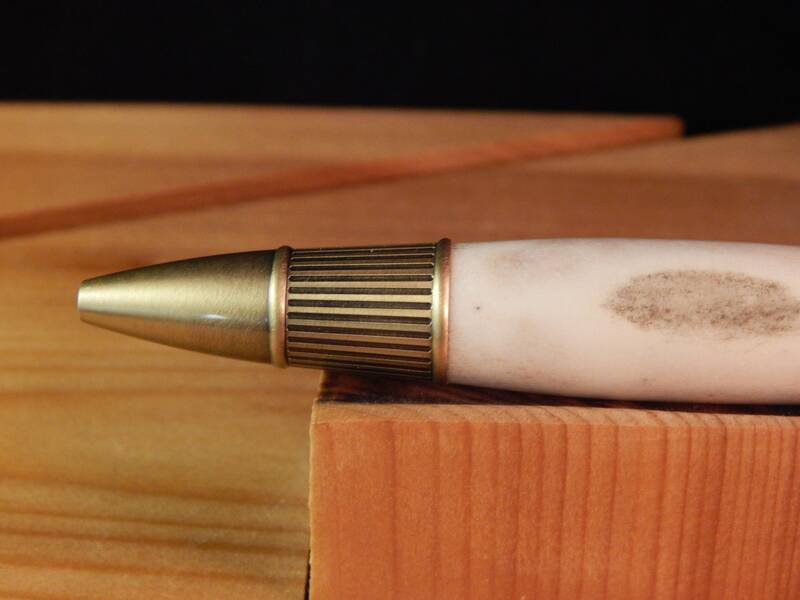 This pen does take Parker style ballpoint refills.